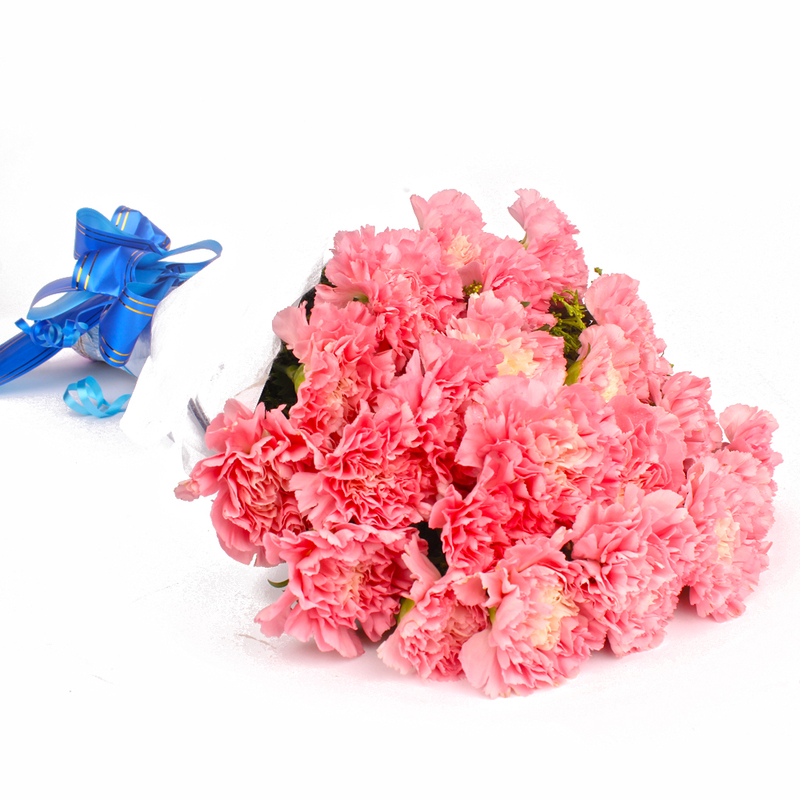 Product Consist : 24 Light Pink Carnations with green fillers in Tissue Wrapping with Ribbon Bow on it. 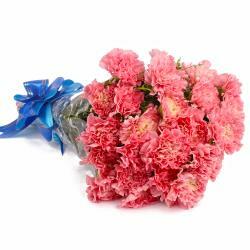 These beautiful and lovely pink carnations will never cease to amaze you with their beauty and splendor. 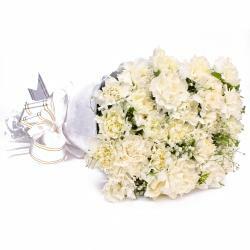 These twenty four stem of light pink carnations are neatly packed in tissue paper with a matching ribbon bow on top as well. They will definitely bowl you over with sheer vivacity alone and make for fabulous gifts for special occasions like Diwali, anniversaries, Valentines Day, Mothers Day, birthdays and so on. 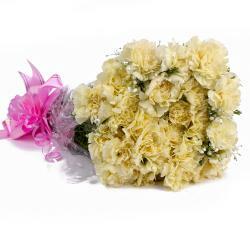 The pink carnations are perfect gifts and also do their bit to soothe one s senses and transform living spaces. You should not miss out on this gift pack. 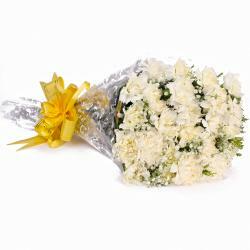 Product contains : 24 Light Pink Carnations with green fillers in Tissue Wrapping with Ribbon Bow on it.